With snow-capped mountains, pristine fjords, miles of emerald forests, eagles flying overhead and glaciers that thunderously calve into the sea, Alaska is one of the top cruise destinations in the world. A summertime cruise in the calm waters of the Inside Passage takes you into the United States' "Last Frontier." It's a must-do cruise – one very different from a fun-in-the-sun Caribbean sailing. 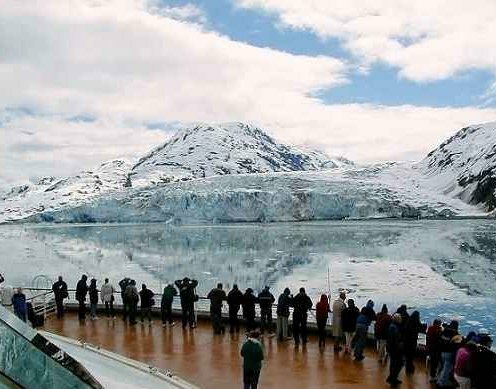 Here are some tips for planning your Alaska cruise. Book early: Cruise lines have been touting a busy 2015 season. Surveys, including one by Travel Leaders Group, show Alaska as a top domestic travel destination this year (even ahead of places such as Orlando and Vegas). If you're planning an Alaska cruise and want a decent price and a good choice of cabins, book now. Go early or late in the season: The Alaska season generally runs from late April to September. Early-season pricing applies up to the beginning of June. September is also a shoulder season, with lower brochure rates. With fewer passengers in May you can avoid summer crowds. The most popular and highest priced months of July and August tend to bring warmer temperatures but can also be rainier. Look at itinerary choices: Don't stress about seeing the glaciers. Every itinerary, whether Inside Passage or Gulf of Alaska, will get you close to glaciers – whether that's in Glacier Bay National Park or other spectacular places. Some itineraries spend more time at glaciers than others. Itineraries operated by the big ship lines visit virtually the same ports, Ketchikan, Skagway and Juneau, and sometimes Icy Strait Point, Victoria B.C. or the Russian heritage city of Sitka. Small ships such as those operated by Un-Cruise Adventures and Alaskan Dream Cruises go farther afield.You can begin or end your cruise in Alaska, giving you more time to explore, or do a round-trip from Seattle or Vancouver. Pick a ship that's right for you: Options range from 22-passenger ships with limited public areas to 3, 000-plus passenger ships with casinos, spas, lavish productions and other onboard attractions. Luxury cruisers will find choices that include Regent Seven Seas Cruises and Silversea. Disney Cruise Line caters to families with kids – new this year the Disney Wonder will have "Frozen" activities and characters onboard. No matter what line you choose, consider booking a veranda cabin to catch the views.